This standard is used for testing of small bone metallic plates. Small bone plates are used primarily in the far extremities (e.g. fingers and toes) and in the craniomaxillofacial region of the body for fracture fixation. 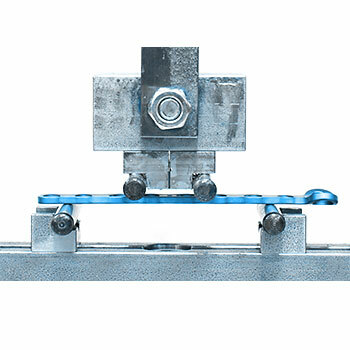 Test standards for metallic bone plates, ASTM F382 and ISO 9585, currently exists, but due to the smaller size of the plates used in small bone fracture fixation, some of the tests described in these standards are very difficult to set up and execute. This standard describes static and dynamic tests by specifying load types and specific methods of applying these loads. The following tests to evaluate and characterize them can be carried out at EndoLab®: Static and dynamic torsion, static and dynamic cantilever beam bending, static and dynamic lateral bending, and static and dynamic three-point bending.